Angus Australia and genomics service provider, GeneSeek AustralAsia, will launch a new genomic product for Angus seedstock cattle from January. Known as Angus GS, the new product has been built specifically for the Angus breed and is available exclusively in Australia to Angus Australia members. Angus GS is a high-density genomic product containing DNA markers that are highly informative for Angus cattle, said Dr Russell Lyons, general manager of GeneSeek AustralAsia. Geneseek is the Australian business established in September by US genomics service provider, Neogen, following its purchase of the UQ genetics lab business. “Research during the development of the product focused on saturating the genomic test with markers targeting specific regions of influence in Angus cattle,” Dr Lyons said. The launch of the Angus GS product in Australia was part of Angus Australia’s commitment to provide Angus Australia members with modern, affordable DNA testing services, Angus Australia Breed Development & Extension Manager Andrew Byrne said. 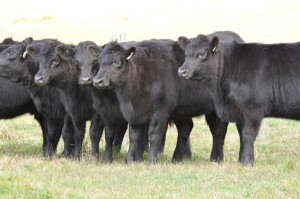 “Coupled with recent enhancements to the manner in which genomic information is utilised within the Angus BreedPlan genetic evaluation, the Angus GS product will ensure that Angus breeders have access to the latest breeding and genetic technologies, which in turn will further accelerate the considerable genetic improvement that is already being achieved within the Angus breed,” Mr Byrne said. The Angus GS product was developed in partnership between the Angus Genetics Inc, a subsidiary of the American Angus Association, and Neogen. The Angus GS product was unveiled in the US during November and Angus Australia has been successful in obtaining a license to offer the product in Australia. “We are extremely grateful to our colleagues in North American for affording us with the opportunity to provide the Angus GS product to Angus Australia members,” Mr Byrne said. Information on the new Angus GS product can be accessed here. Contains markers for health traits, environmental adaptability and feed efficiency from latest beef research in the US. Interesting development. A key question is always, who owns the data?